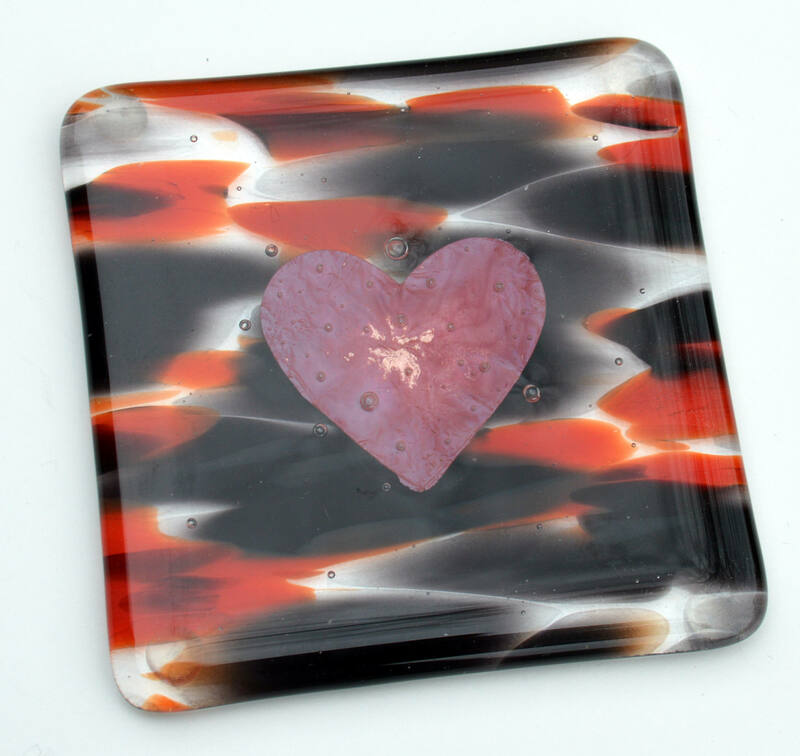 These coasters show a trendy copper heart fused between a clear glass layer and a tiger effect glass in rust and black. Measuring approx.10cm square, the bottoms will have small rubber stopper feet to protect your furniture. 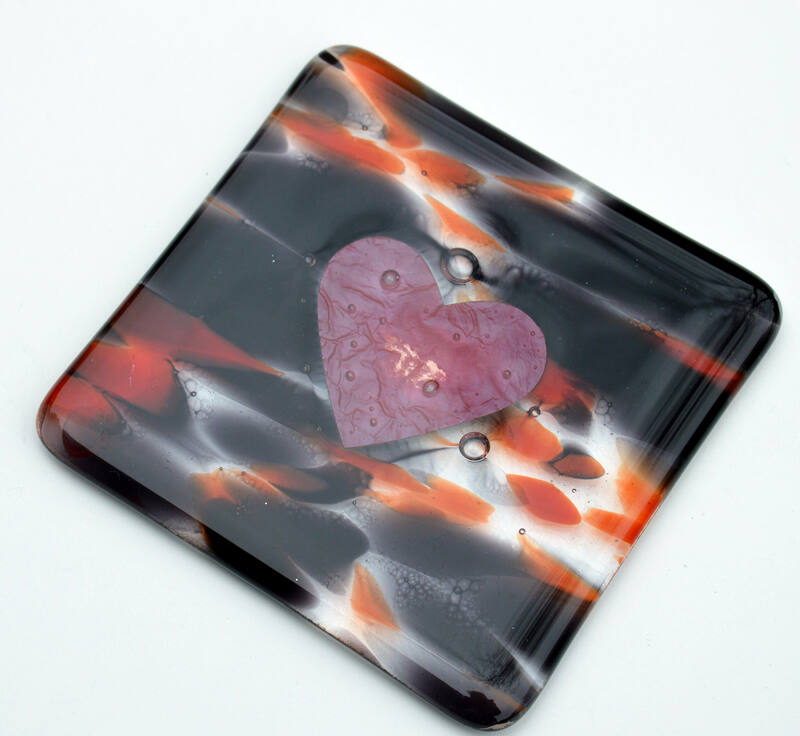 Listing is for one coaster made in my small home studio. 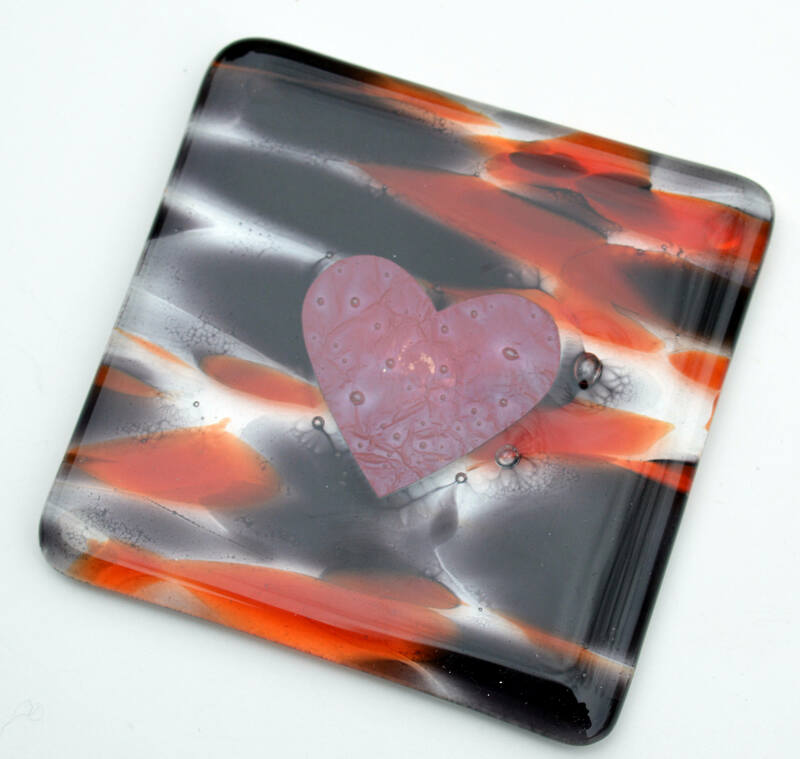 Because of the handmade nature they will all be slightly different but are made from the same piece of glass. Small bubble formations are normal.